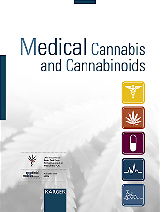 Cannabis use protected alcohol users from negative consequences of alcohol to the liver, including fatty liver, cirrhosis and liver cancer (hepatocellular carcinoma). This is the result of a working group by scientists of several institutions within the USA, including the University of Massachusetts, the Howard County General Hospital in Colombia, the Hospital and Medical Center in Englewood and the Maimonides Medical Center in Brooklyn. Scientists analysed data from a data base of 319,514 adults with a history of alcohol abuse. 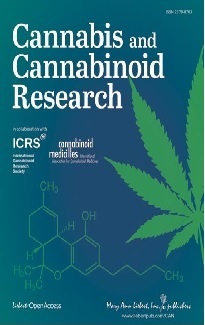 The judgements of cannabis users by examiners predict performance of cannabis users and non-users. This is the result of scientists at the University of Palo Alto, USA, which was recently published in the journal Archives of Clinical Neuropsychology. Participants included 41 cannabis users and 20 non-users. Before testing, examiners who were blind to participant user status privately rated whether they believed the examinee was a cannabis user or non-user. Examiners then administered a battery of neuropsychological and performance tests. Scientists showed that the introduction of medical cannabis laws leads to a decrease in violent crime in states that border Mexico. The reduction in crime was strongest for counties close to the border (less than 350 kilometres) and for crimes that relate to drug trafficking. Norwegian School of Economics, Bergen, Norway. City University of New York, School of Medicine, USA. A recent rewrite of the nation’s strict narcotics laws will allow cannabis to be sold legally over-the-counter with a doctors’ prescription, Narcotics Control Board director Sirinya Sitdhichai said on 16 January. The drug laws were rewritten late last year and those revisions are currently on their way to the Cabinet for consideration, Sirinya said. Once the new regulations are approved, they will be put to a vote by the junta-appointed interim parliament. Portugal’s influential Doctors’ Association called for the legalization of cannabis-based medicines on 11 January, the same day parliament started to debate a draft bill that goes even further in seeking to allow patients to grow cannabis at home. Although Portugal boasts one of the world’s most liberal policies on drugs and has legal cannabis plantations destined for export, it has trailed several EU countries the last few years on the medical use of cannabis. After the death of patients suffering from ALS (amyotrophic lateral sclerosis) their brains contained more CB2 receptors than healthy people, while the CB1 receptor was not affected. Authors concluded that “These observations support that targeting this receptor may serve for developing neuroprotective therapies” in this patient population. Medical Faculty, Complutense University, Madrid, Spain. In a study with 9 heavy cannabis users and 9 non-users, who received hepatitis B vaccination, there was no effect of cannabis on the efficacy of the vaccination, that is immunity to hepatitis B.
David Geffen School of Medicine at the University of California, Los Angeles, USA. In a study with 13,995 adults past or current self-reported use of cannabis had no influence on kidney function.